"They'll peel you like a banana in Hell!" the cover screams. And screams are splattered all over the inside of this debut comic from Ottawa's Josh Stafford. Full disclosure here, Stafford is friend of Ottawa Horror a.k.a. Batturtle, and one of the co-owners of our beloved Mayfair Theatre. What I did not disclose, was my plan to head down to the Comic Book Shoppe on Saturday and snag a few copies of Zomkeys, visit with the Mirror Comics crew, and congratulate the hell out of Josh. Like zombies? How about monkeys? You are going to love this full-colour freakout that overflows with action and carnage from the word go. Now, I have seen zombie clowns, but these are far worse. "I don't have a particular fear of monkeys," said Stafford, "they just served a purpose of something usually not considered too terrifying that we could play with. And the word Zomkeys is cool." There are two covers available too. 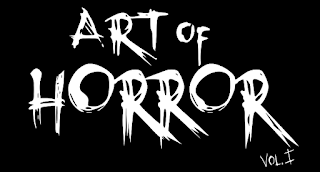 The gorier of the two is by Keith Grachow who I've met through the Mirror Crew. The alternate is a super colourful baboon zombie rotting out in all the right places, by Kelly Tindall. Josh wrote the story and developed the script, Barb Felix worked on ink and Brianna Parker coloured this art, while Mirror Comics president Dominic Bercier provided lettering. 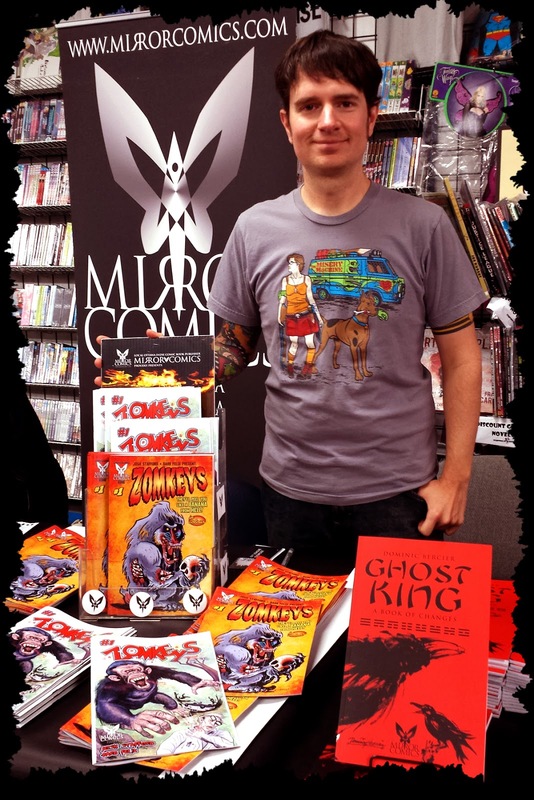 Watch the CTVOttawa segment with Josh and Mirror's editor-in-chief Kristopher Waddell unveiling Zomkeys, or head over to the Mirror Comics site to preview and order your own copy. You can also just head down to the Comic Book Shoppe or ask where comics are sold. He has three further 'Zomkeys' ideas, and would like to do more work with Mirror in the future, which is encouraging since this comic went from concept to launch rather quickly. It wasn't a plan they had kicked around for very long. Since he always has a project on the go, I had to ask what's next: "... finishing up a documentary about Ottawa geek culture, start in on a court-room screenplay, and get a script done up for a short film for next years Painted Lips & Lolly Licks fest at the Mayfair." Totally brutal and terribly scary really, I was surprised by this. Likely due to how the action escalates so quickly with a mad body count! After I read it, I passed it to several unsuspecting geeks in a very poorly controlled test, and it got opposable-thumbs-up all around. "I love Planet of the Apes, & comics like Angel & the Ape and Monkeyman & O'Brien. Actually, monkeys of any sort in a comic or movie is usually a plus."